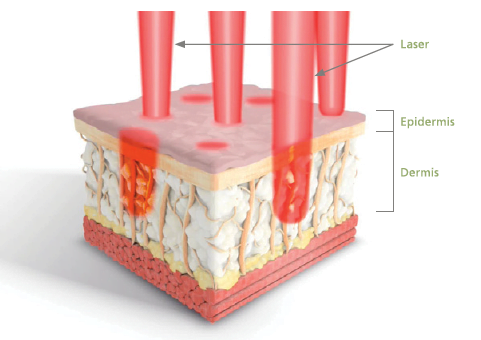 One of the best aspects of Fraxel is its ‘dual’ function; which gives it the ability to be varied in intensity, allowing us to modify the therapy depending upon whether the patient’s skin is quite healthy, or requires extensive resurfacing - and how long they want their downtime to last. A low intensity treatment helps to remove superficial sun spots and pigmentation, with only a weekend of coffee-grain like shedding. While a more intensive treatment will lift extensive sun damage and address deeper lines, and will involve shedding for about 5 days. Your Fraxel treatment will begin with a thorough skin analysis with our dermal clinicians, who will assess your skin, discuss your desired result and advise of the best intensity to achieve this for you. Many laser, pulsed light and peel therapies necessitate a lengthy regime of costly skin care products before and after the treatment. Our Fraxel treatment does not require this. To maintain your results, your clinician may recommend a very simple ongoing skin care plan, which can include important anti ageing active ingredients such as alpha hydroxy acids (AHA’s), retinoids (vitamin A) and beta glucan - as well as an effective SPF 50 sunscreen. 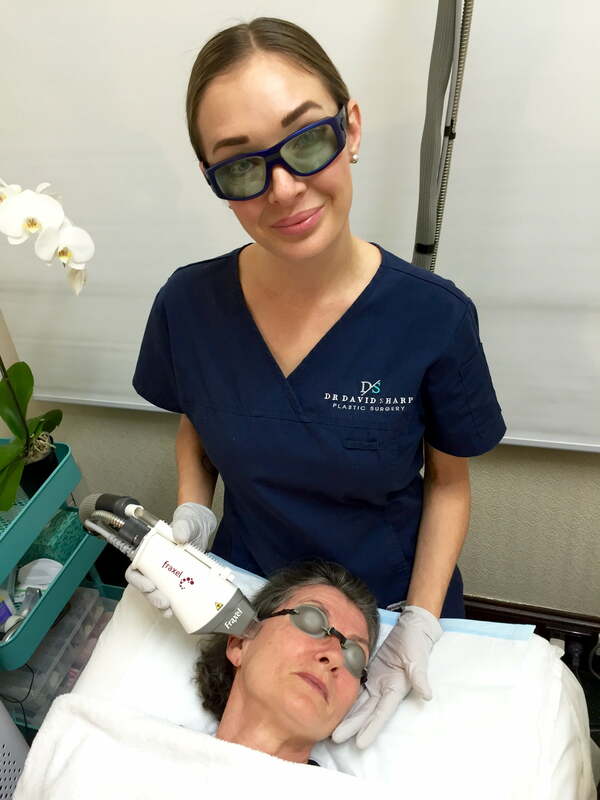 Each member of our team has tried Fraxel, and so we’d love to answer any questions you have about how the treatment feels, the recovery period and the results we have experienced using this leading laser technology. Call us on 3202 4744 if you have any questions!